One may assume the television shopping industry would be losing ground to online platforms such as eBay. However, with its new program idea, Evine Live Inc. is putting innovative ideas in the spotlight. Shopping channel Evine Live was founded as ValueVision back in 1990, and made its first broadcasts the following year. Ten years later, ValueVision changed its name to ShopNBC, following production company NBC's purchase of a significant stake in the company. Following NBC Universal's merger with Comcast, the share was returned to ValueVision, after which the name was changed to ShopHQ. In 2015, the company changed its name to Evine Live - a brand name owned by recent acquisition Dollars Per Minute. 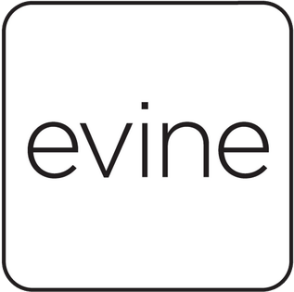 Today, Evine Live is one of the largest companies in the shopping channel and catalogue industry, and employs over 900 people. The Minnesota-based company has revenues of $150.21 million, and enjoyed a 52-week stock high of 1.62 in its latest financial report. To remain relevant in an increasingly ecommerce-focused world, shopping channel producers have had to find new ways to draw viewers to their programming. Celebrity presenters, special sales, and exclusive products are just some of the ways these companies are offering something that consumers cannot experience on sites such as eBay or Amazon. In this spirit, Evine Live is experimenting with new programming styles which move away from the traditional shopping channel format of explicit product promotion and sales. One result of this endeavor is a new reality show which puts everyday people in front of the camera. Dubbed Inventor Showdown and hosted by renowned innovator Akos "The Solutionist" Jankura, the reality show lets amateur inventors go head-to-head by putting their products up for the public vote. Viewers cast their votes by purchasing their favorite product out of the ones featured in each episode. The inventor who earns the most sales in each episode moves on to the next stage of the contest until the winner is eventually crowned at the end of the five-episode run. "Inventor Showdown is a reality show like no other where we put the fate of these inventors in the hands of our customers," said Bob Rosenblatt, Chief Executive Officer at Evine. "We know our viewers are looking for new and unique products that have a compelling story behind them. Inventor Showdown is the perfect format for our customers to discover new products while using their voting power to help a budding inventor get their big break." The show is supported by a bespoke website, which features profiles of the inventors and more information about the products, including blog posts and videos. Inventor Showdown is also promoted via various Facebook and Twitter accounts. Four inventors have made it through to the final. Robert Dieguez, Pam Turner, Lee Mallahan III, and Yixia Jiang - all of whom earned their spots in the final episode with their innovative designs by gaining the most sales via Evine Live's online and mobile platforms. All of the previously featured products are still available for sale in their own section of the Evine Live website. The final winner of the contest will receive an invitation to return to Evine Live, where they'll be able to present future programming to promote their products. "I have had the privilege to work with some amazing inventors throughout my career, but I am particularly thrilled with the line-up of individuals we have assembled for this series," said Inventor Showdown presenter and innovator, Akos Jankura. With innovative new programming and an associated omnichannel marketing campaign, Evine Live is not only making sure it stays ahead in an increasingly online world, but also gives pride of place to some of the nation's most forward-thinking people. The final word goes to host, Jankura. "[The inventors] each bring something unique and innovative to Evine, and I am excited to see them compete live on a television stage. Inventor Showdown will showcase hard-to-find items with problem-solving and easy-to-use features. I can't wait to see who emerges as the victor!" You can hear Evine Live's Chief Technology and Digital Officer Sunil Verma speak at eTail East 2018 this August at The Sheraton, Boston, MA.